Big companies are investing in China across the board, which shouldn’t surprise anyone. 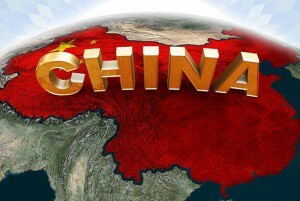 China is a country that is very much in a stage of rising development. It’s a rising star in the global economy. The companies that are investing there have every reason to believe that their investments are going to be worth more in the future. Choosing an established area for the sake of investment isn’t always the best strategy, since the area might be at its peak now, and there may be a loss of value in the future. It’s better to choose the areas that are on their way up, which has made all the difference when it comes to investment capital in China. However, this is having an effect on the rest of the world. It is putting more power in the hands of the Chinese economy as more foreign capital is being contributed to Chinese development. The wealthy investors usually only have access to that foreign capital because their own governments impose low taxes on them, which means that potential capital for governments all around the world is going to China instead. The wealthy people in the West tend to follow the money, and they are typically acting out of self interest only. Skyworks Solutions, Qualcomm, Apple, and many other tech companies and companies that act as suppliers for tech companies disproportionately invest in China and get a lot of their revenue from China. This puts them in a vulnerable position in addition to the effect that it has on foreign economies. If stocks in China go down, the companies that have put lots of their proverbial eggs in that basket are going to lose a lot of money almost immediately. That sort of situation is happening now. Diversity is key when it comes to investment, which is a lesson many companies have forgotten in their rush to jump on the Chinese bandwagon. Why India is turning into the future star of the global investment? Manuel Hinds, the former finance minister of El Salvador explains why of all the BRICS, only India and China are on the rise and what it means for the world economy. There are three questions here. Firstly, whether India is growing, and rivals stay behind, is the part of the common international problems affecting the country with a delay? Secondly, if India appears to be in a better position than China, how and why? And thirdly, what measures should be taken to consolidate this advantage? The Indian economy is showing the signs of recovery. Judging by the statistics, the investors are pulling money out of the assets of Russia and Brazil, and put them into India and China. In the case of India, this process is at an early stage regarding the stock market in the future may apply to investments in other companies that are not present on the market. 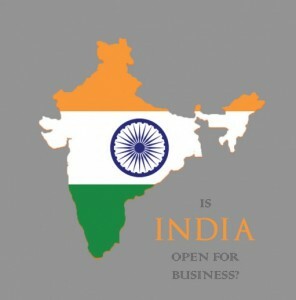 Most of international companies have not yet come to India, though they could be. For example, recently the head of General Motors has visited India to inspect the preparations for the export of the cars in Chile. Another famous global company Canadian SunEdison Inc. plans to invest $ 15 billion in India by 2022. This company working in the field of renewable energy and intends to firmly link their activities with India, where electricity producers cannot meet the growing demand. As the result, the enterprises still can take what works in other parts of the world and “indianize” it. We mean, they can modify the existing business model and other details so that it will work and solve the problem of the Indians and make the country the attractive source for global investors. © pehappyhour.com 2019. All rights reserved.